TOKYO - Japanese Prime Minister Shinzo Abe said on Tuesday that he agreed with U.S. President Donald Trump in telephone talks to increase pressure on North Korea after the country’s latest missile launch. 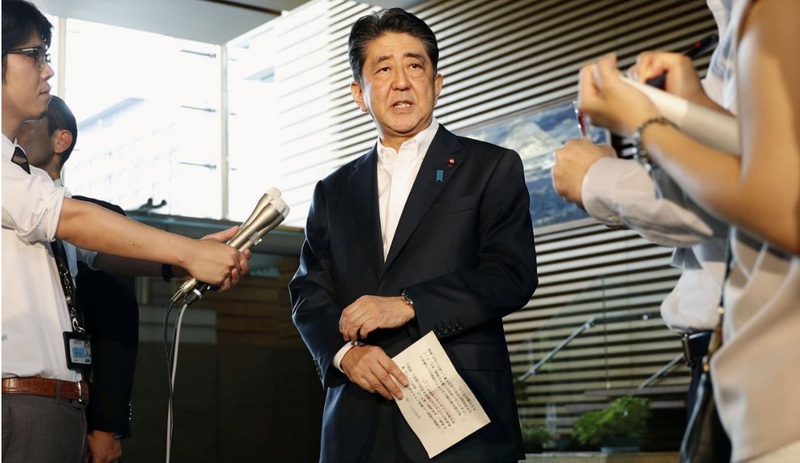 Trump also said that the United States was “100 percent with Japan” and he showed a strong commitment to Tokyo’s defense, Abe told reporters. North Korea fired a missile that flew over Japan and landed in waters off the northern region of Hokkaido early on Tuesday, South Korean and Japanese officials said, marking a sharp escalation of tensions on the Korean peninsula.